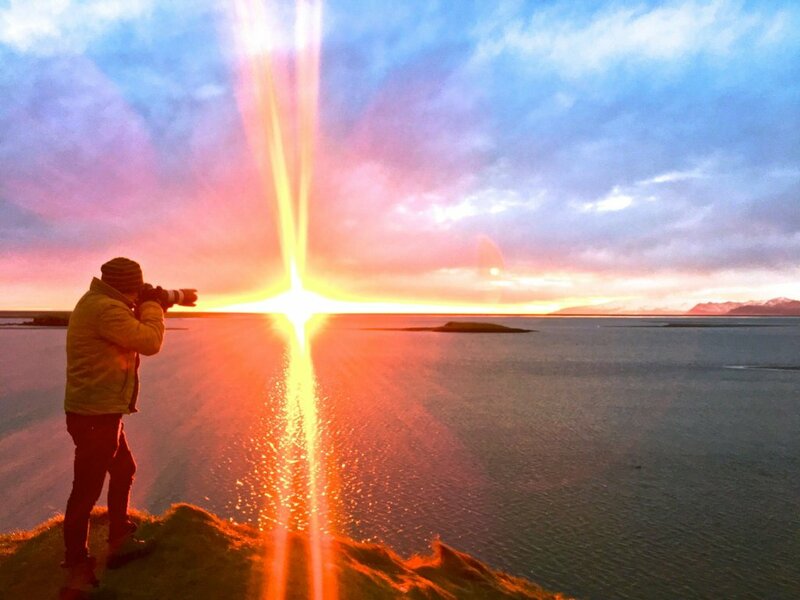 Iceland is one of the most unconventional travel destinations on the planet. It is a country of paradox where fire and ice, light and darkness, co-exist together, creating dramatic, unforgettable landscapes. The island is situated on active volcanoes covered with the largest glaciers in Europe. 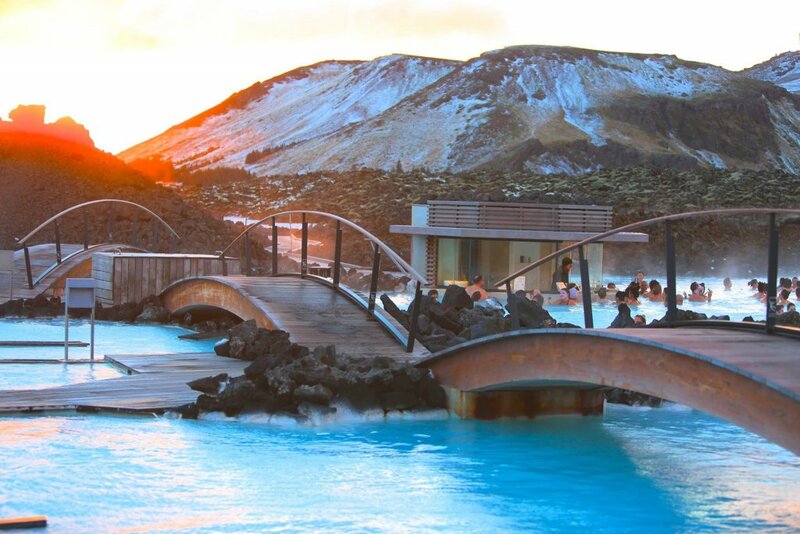 Hot lava heats underground water which springs to the surface in the form of mineral hot springs, creating some of the best geothermal spas in the world. The Aurora Borealis and ever-changing daylight turn the sky into a backdrop for mesmerizing light shows. 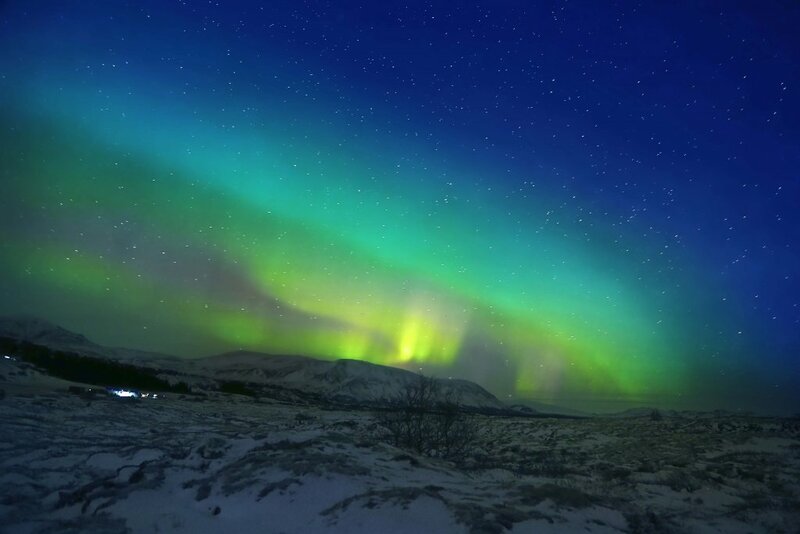 The Aurora Borealis is a spectacular light show with distinctive glowing lights dancing across the night sky. This unique natural wonder is one of the top attractions most visitors wish to experience while in Iceland. 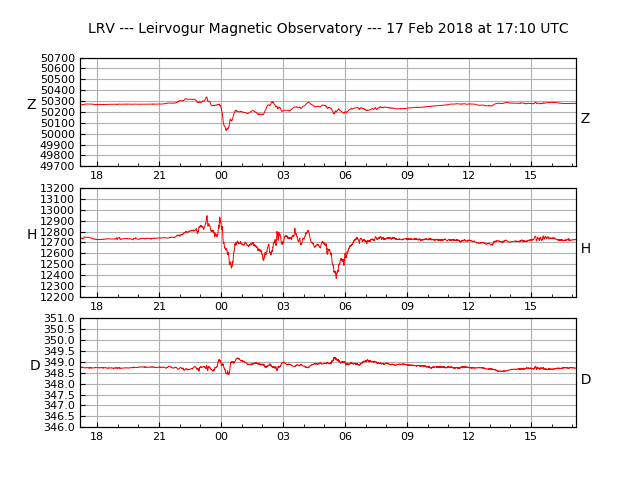 The best chance to see the lights when the aurora activity is high is when it is cold, dark and the sky is clear. There are lots of tours that offer Aurora Excursions. 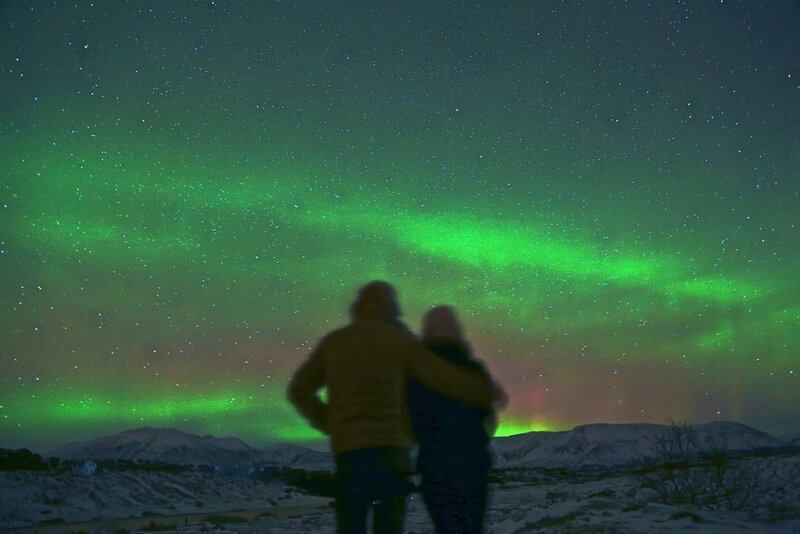 Since northern lights is a natural phenomenon which is impossible to predict, most excursions pledge to take you again on a free tour in case if you don’t see the lights the first time around. Smaller tours with off-road jeeps or mini-vans generally get better reviews than large tour buses, as small tours tend to be less crowded and more personal. Make sure to book your Northern Lights tour in the beginning of the trip to allow enough time for a re-run in case you don’t get lucky the first time around. 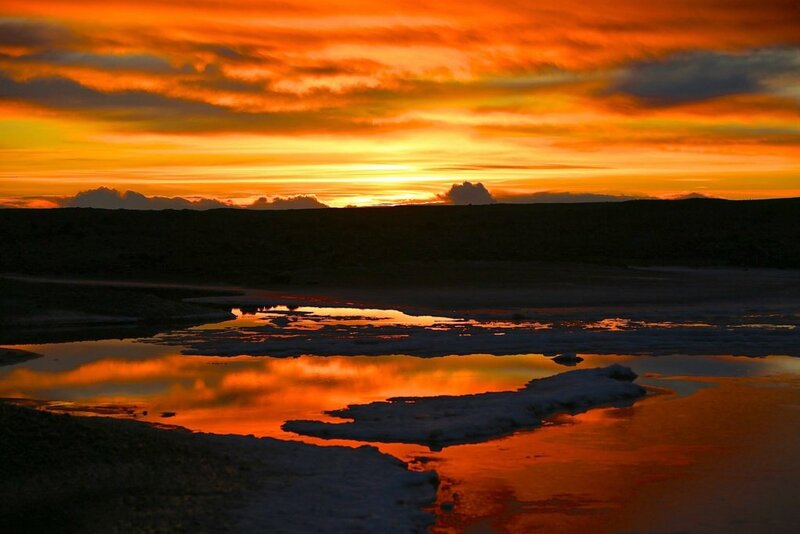 Iceland is a tiny patch of land lost in the midst of the North-Atlantic Ocean just to the south of the Arctic Circle. This Nordic island nation has become the latest travel obsession with almost two million tourists visiting this country last year. Daylight in Iceland gets tricky. During the winter there are only a few hours of effective daylight with sun fully rising as late as 10 am and setting as early as 3 PM. Booking a hotel is the first thing you’d be tempted to do when planning your trip to Iceland. 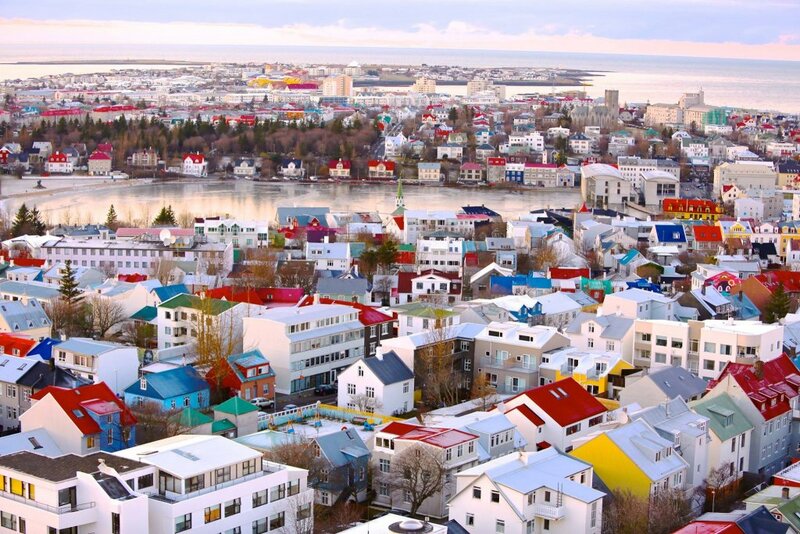 Most tourists reserve their entire hotel accommodations in Reykjavik, the capital city which offers lots of dining, shopping, and entertainment options. Big mistake. 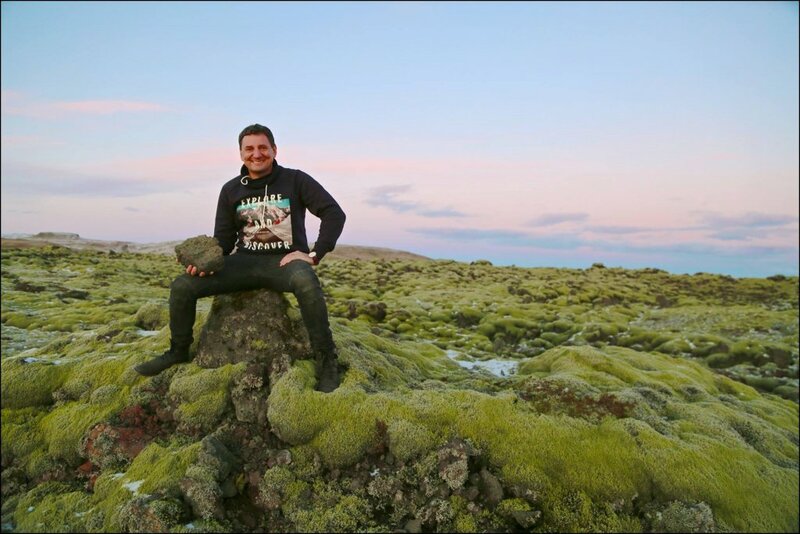 While Reykjavik is definitely the best place to stay while in Iceland, most top adventures including glaciers, ice caves, waterfalls, and geysers are located on the South side of the island, some 450 km away from the capital. 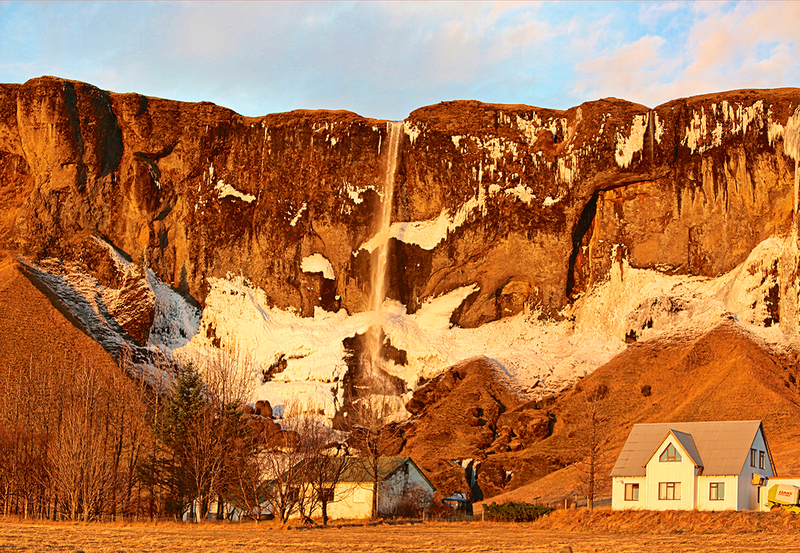 If you are interested in exploring the best of Iceland you would need to spend a night or two away from the capital. Plan your adventures first, then make your hotel reservations. Chances are you will need to book several different accommodations. 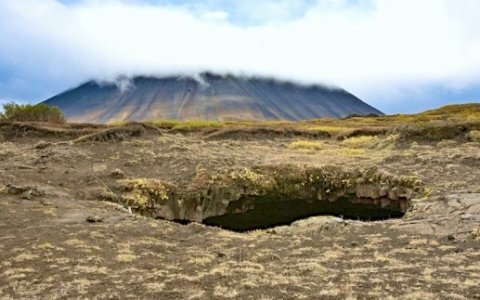 Due to active volcanic activity, Iceland relies on geothermal energy — water heated by the flowing lava underground. This creates lots of natural hot springs all around the island. Many pools have been turned into public swimming pools or day spas, with the most famous one being the Blue Lagoon. The island is situated on active volcanos which explain natural wonder of geothermal hot pools that can be found all over the country. 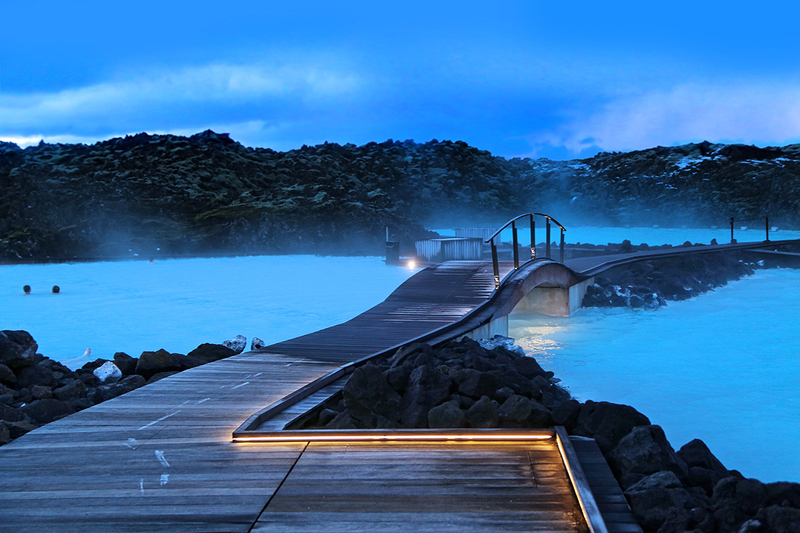 Some hot springs remain untouched while other are elevated to world famous luxurious geothermal spas like Blue Lagoon. 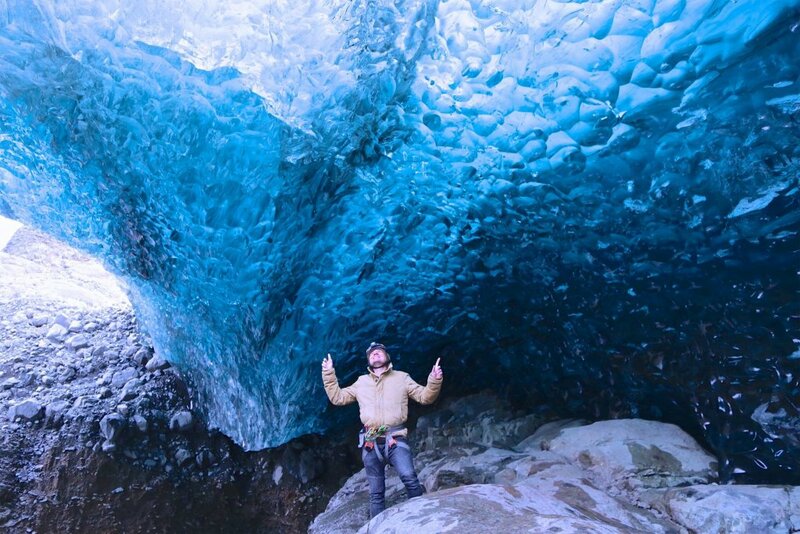 During the winter, glacier rivers form a mesmerizing natural phenomenon called crystal blue ice caves. The caves vary in shape and size with some of them large enough to fit dozens of people. Standing inside an ice cave feels like finding yourself in the center of a crystal ball. It’s an adventure not to be missed since there are very few places on the planet which offer such an amazing experience. 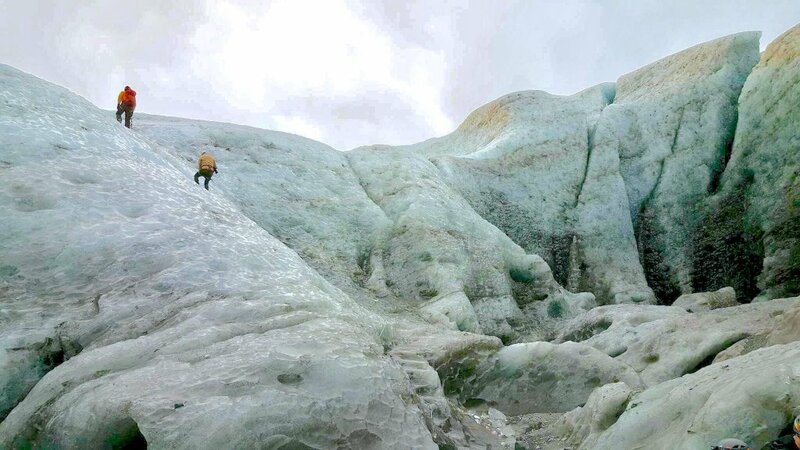 Since caves are hidden in the guts of the glaciers, you can only access them by booking a guided tour. 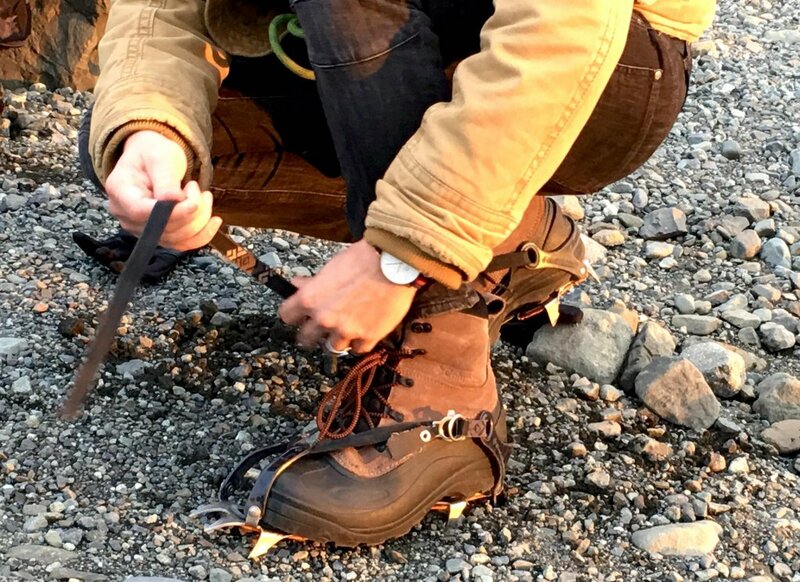 You can choose an easy tour where you’d be taken to a cave on an off-road vehicle, or go extreme and hike or climb the glacier to get to a cave. 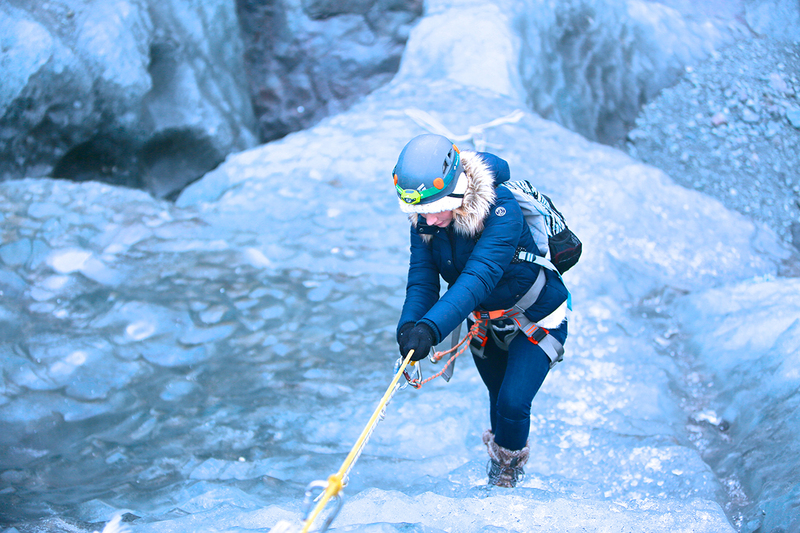 There are lots of great companies that offer guided ice cave tours. 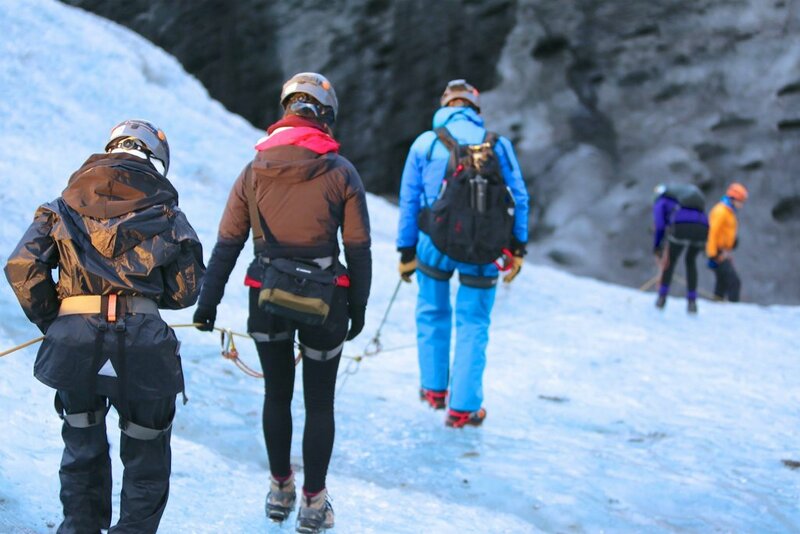 I recommend Glacier Adventures as they offer a great price-to-quality ratio and have some of the friendliest guides in Iceland. 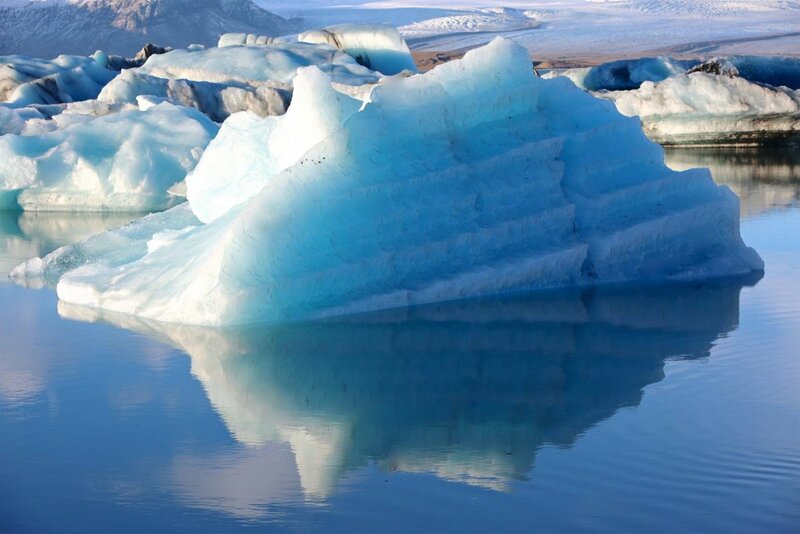 Iceland accounts for the largest ice caps in all of Europe with several enormous glaciers stretching for miles on top of active volcanos. 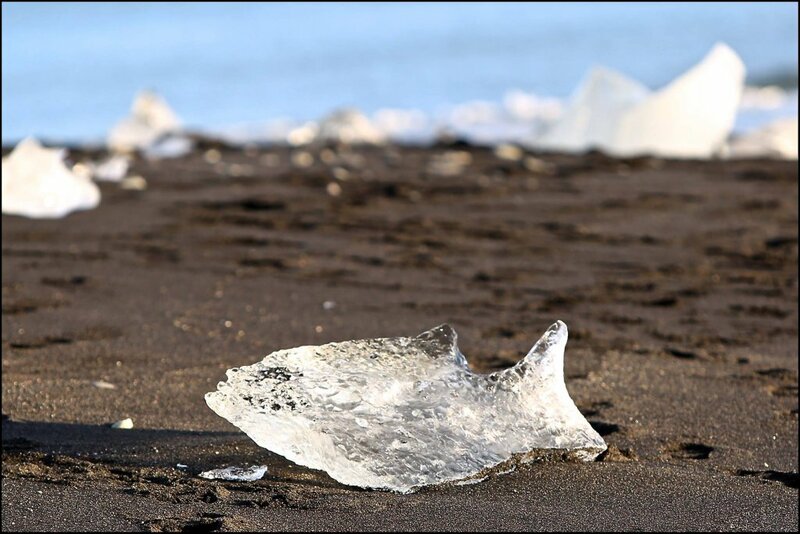 Their edges overflow into the dry land and look like giant tongues of ice, and create unique, alienated landscapes that feel like a different planet. 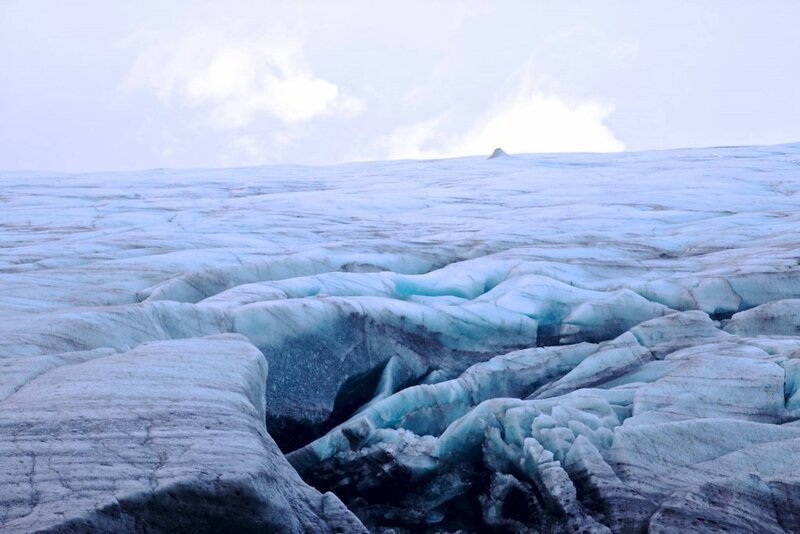 The glaciers have been used as a backdrop for many Hollywood blockbusters including Interstellar, Star Trek, and Star Wars. 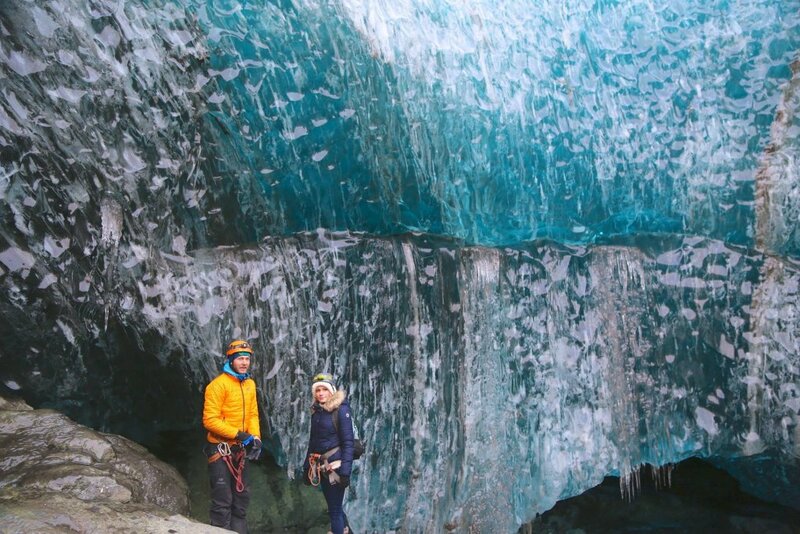 These massive blocks of ice provide some incredible adventures, from low-impact glacier walks to extreme ice climbing tours. 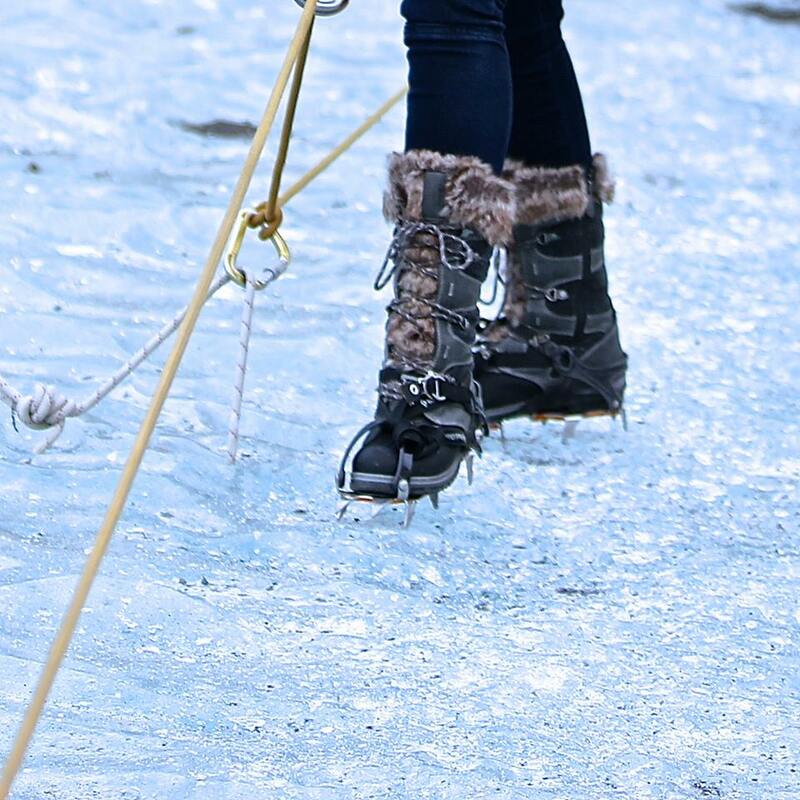 Standing on a solid block of ice with crampons on your feet is an unparalleled experience! UNICORNS ARE REAL, AREN’T THEY? Icelandic horses resemble magical unicorns. 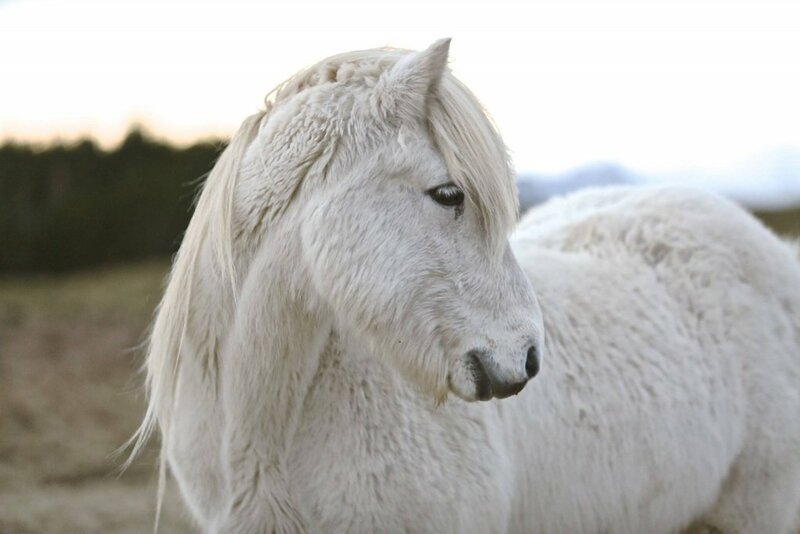 This special breed developed in Iceland is small and looks like a pony with a full mane and beautiful long tail. They usually have a distinct personality and do indeed resemble mythical creatures. Horse are incredibly popular in Iceland. You can easily spot them in a herd along the road while traveling through the countryside. 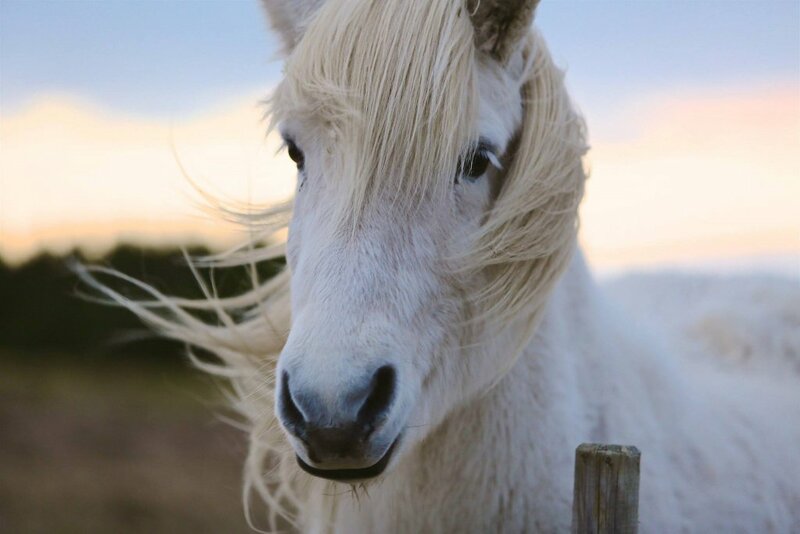 Plan to stop by one of the many horse farms to take a closer look at these cuties; most of them will even pose for pictures. Iceland offers lots of transportation options to get around. You can ride a comfortable charter bus from the airport to Reykjavik and get around the city using public transportation or by foot. Most local tours also include a complimentary ride. Nevertheless, having your own means of transportation is definitely worth it. A visit to Iceland is not complete without a drive along the island or at least to the south shore. 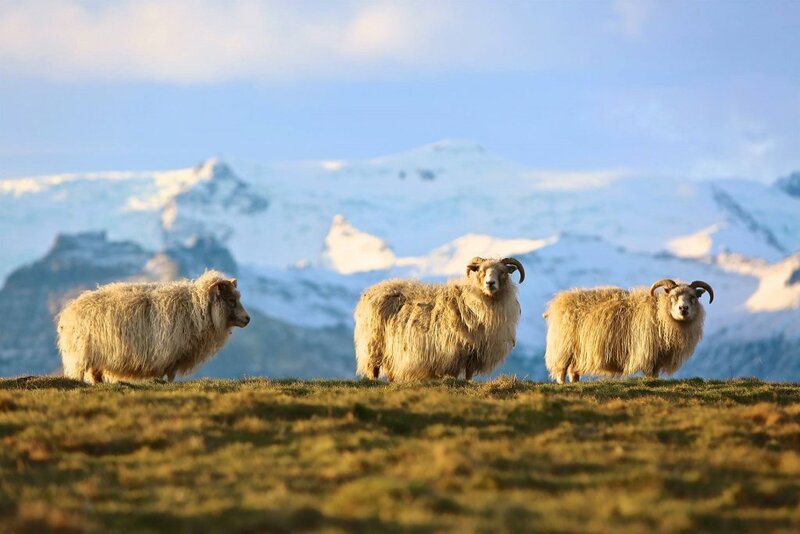 Glaciers, ice caves, and animal farms are all located on the southeast side of the country which is a good five hour drive from Reykjavik. Some companies include a coach bus and a hotel room in the price of their glacier tours, but this way you miss lots of fun stops along the way. Rent a car if you can. The roads in Iceland are great and there is barely any traffic. 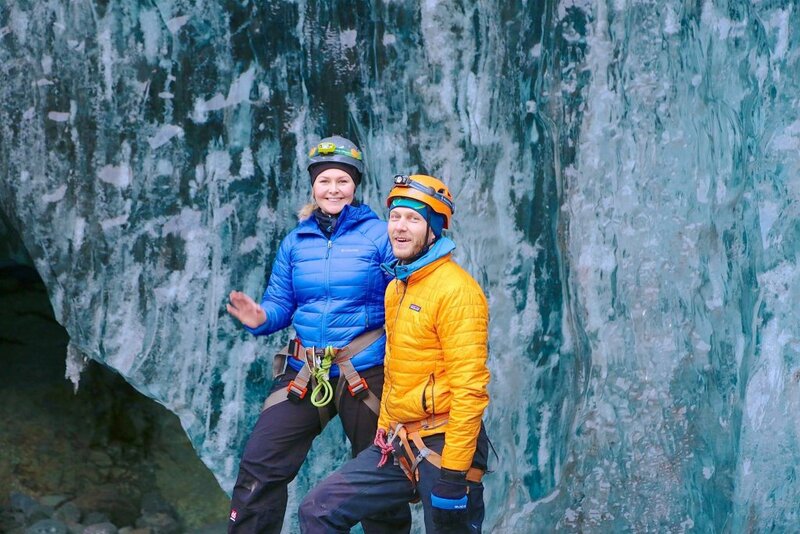 We had such a wonderful experience with Glacier Adventure! Buy a data card for your smartphone at the airport and use it as a navigation device. Make rental reservations and buy insurance ahead of time as the prices at the site grow exponentially. Olga is the Chief Financial Officer of Russian American Media, Inc., one of the largest media companies serving Americans of Slavic descent. She represents the producers of major community events including Miss Russian California, a state-wide beauty pageant that brings together most prominent young women of Slavic-American heritage. Olga is closely involved with local non-profit organizations helping organize events and carry our programs that benefit our community. In her spare time Olga enjoys extreme sports, traveling, and cooking and contributes to several publications and blogs as a food/travel columnist.